Cancana is Uniquely Positioned to Weather the Commodity Storm and Capture Market Share | Energy and Gold Ltd.
With the closure of the Woodie Woodie mine Cancana’s JV project, Brazil Manganese Corp (BMC), is one of only two manganese projects globally which produce at manganese grades of >44% (suitable for agricultural and premium steel uses). BMC has the advantage of running a simple project compared to the more complex operations of its much larger competitors in Brazil; Vale and Buriturama. The low iron and phosphorous content of its hydrothermal mineralisation makes its products highly valued. These advantages put Cancana’s JV in a position to capture market share during a time in which its competitors are slashing production and losing market share. With a larger share of the manganese pie BMC will be poised to profit from the inevitable upturn in prices, which will result from a supply constrained environment. This strategy puts BMC in position to become a key supplier of a quality product with a strategic location in the heart of the world’s new breadbasket, and with a growing number of premium steel customers (BMC’s most recent buyer of 7,500 tonnes of manganese was a steel manufacturer that had run its stockpiles nearly down to zero). BMC has maintained an active exploration program during the low part of the price cycle, and the company has been successful in locating new manganese occurrences in structures identified from an aerial HeliTEM survey. An exploration update is expected in February. The company has also focused on infrastructure improvements which allowed it to achieve record second-half production. 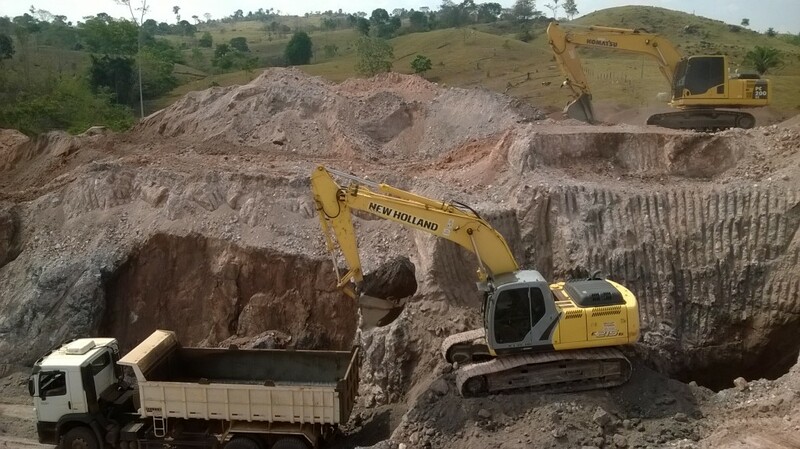 Cancana and its JV partner Ferrometals send US dollars down to Brazil to cover capex and operational costs which are incurred in Brazilian reals. The weak Brazilian currency continues to be a tailwind for the BMC project during its formative stage. In addition, the commodities downturn and soft Brazilian economy has benefited BMC by making machinery and labor less costly and more easily available. Ferrometals is a special purpose investment vehicle wholly owned by The Sentient Group, one of the world’s largest resource-focused private equity funds. Ferrometals is a full-cycle investor and targets early stage projects that have potential to be world-class, low-cost operations. The EnergyandGold.com employees are not Registered as an Investment Advisor in any jurisdiction whatsoever. EnergyandGold.com employees are not analysts and in no way making any projections or target prices. Neither the information presented nor any statement or expression of opinion, or any other matter herein, directly or indirectly constitutes a representation by the publisher nor a solicitation of the purchase or sale of any securities. The information contained herein is based on sources which we believe to be reliable but is not guaranteed by us as being accurate and does not purport to be a complete statement or summary of the available data. The owner, publisher, editor and their associates are not responsible for errors and omissions. They may from time to time have a position in the securities mentioned herein and may increase or decrease. Please always do your own research. Copyright All images in this document are copyrighted by the concerning companies. The company data was fetched from the according Stock Exchange (TMX charting) of the company or company presentations. Still, the owner, publisher, editor and their associates are not responsible for errors and omissions concerning this data. Important This document is distributed free of charge, and may in no circumstances be sold, reproduced, retransmitted or distributed, without written consent from EnergyandGold.com.